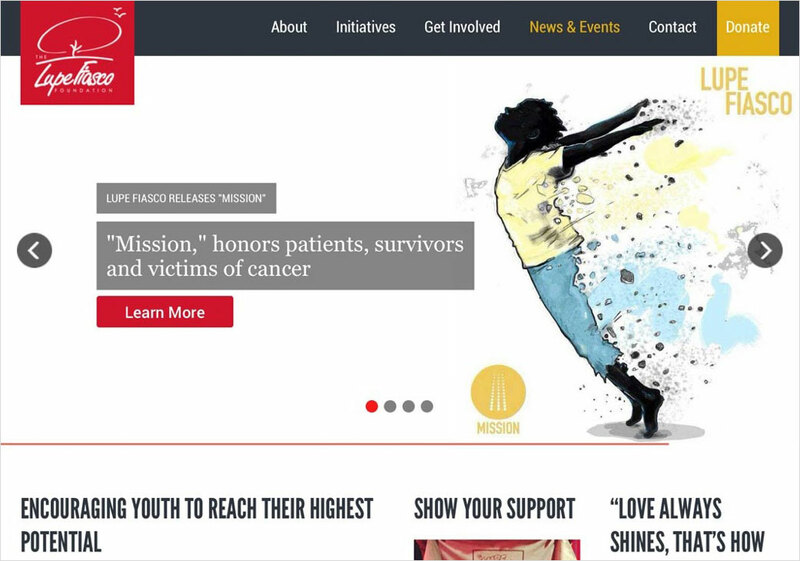 We are very proud to announce the launch of the new Lupe Fiasco Foundation website! It was our profound honor to work closely with the Foundation team to help redefine their mission and launch a site that captures that collective vision. The Foundation is just one of many initiatives that Lupe Fiasco has undertaken to provide support and encouragement for those in need. He’s a man that is known for speaking his mind, regardless of the effect it may have on his personal brand. I’ve had the pleasure of getting to know him in the past few years, and I can attest that when he does speak his mind, it’s not for the sake of controversy, but out of genuine concern . Although I may not always agree with him, it’s a trait I quite admire and respect. His latest single ‘Mission‘ tackles cancer, but not in a way you might think. The track, which is the first released from his upcoming album “Tetsuo & Youth,” includes both vocals from cancer survivors giving personal accounts, as well as Lupe telling stories from their perspectives in his verses. Once it was finished, but before it was released, Lupe went around and played it for patients at the Lurie Comprehensive Cancer Center in Chicago. Only after securing their approval did he finalize the track. In this interview with Katie Couric, Lupe talks more about why “Mission” is personal, his childhood, being Muslim and his controversial statements about President Obama in 2008. Learn more about the foundation and Lupe Fiasco’s new single ‘Mission’ at http://www.lupefiascofoundation.org.